Ayurveda is having a moment—it’s the latest wellness buzzword. The funny thing is that Ayurveda is actually one of the oldest systems of medicine, with its roots in India, that dates back nearly 5000 years. It has survived and flourished throughout the centuries, and in a modern, tech-heavy world, Ayurvedic principles, that place importance on intuition, are flourishing. Ayurveda posits that the universe is composed of five elements: Vayu (air), Jala (water), Aakash (space or ether), Prithvi (earth) and Teja (fire), while humans comprise of energies, known as doshas: Vata, Pitta and Kapha (more on those later). “Ayurveda enriched my life, giving me a tried and tested structure to fall back on and a more intuitive understanding of my changing needs,” she writes. 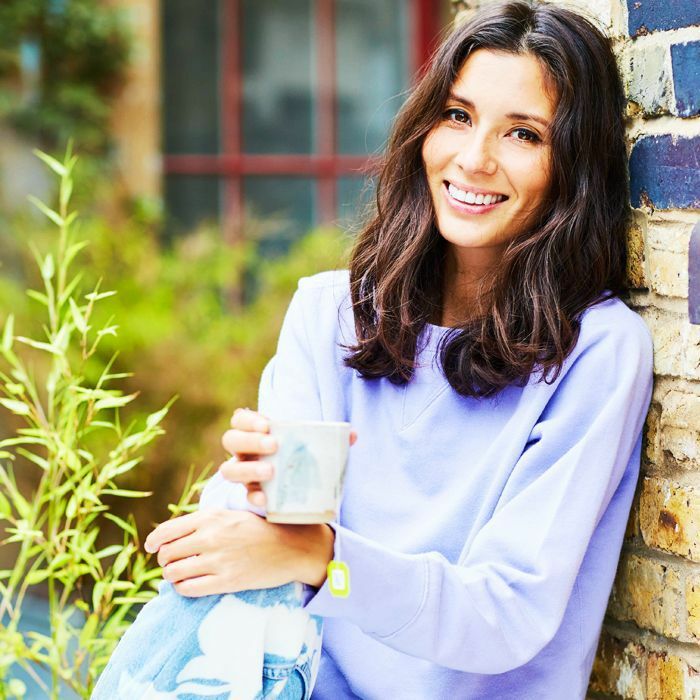 In East by West, Hemsley has immersed herself in the principles of Ayurveda and has brought together a book based on the ancient system that reveals how you can live an Ayurvedic lifestyle in a busy Western world. She outlines the principles of modern Ayurveda, how to give your pantry a makeover and how to eat for true nourishment and health. Still not sure whether Ayurveda is for you? We put all our questions to Hemsley, to find out more about this ancient lifestyle. Byrdie UK: What are the roots of Ayurveda? JASMINE HEMSLEY: Eating with Ayurveda is everything that you imagine an ancient and traditional philosophy would be; it makes natural sense. Where possible, eat fresh and seasonally; not too much, not too little. Once you’re in the rhythm, you don’t need any ‘portion control,’ or to force yourself to remember your veggies, or to study what's best for your dosha because you’re in tune to your needs. Dosha types are characteristic of Ayurveda and can teach us about what foods and environments we need to suit our individual body types. Byrdie UK: Why is it something you have been drawn to? JH: What I love about Ayurveda is that it’s not an exclusive club; there’s no falling off the wagon. Just remember that every time you work with nature, you’re going with the flow, and it makes you feel in tune. And when you’re not, your incredible mind and body will always work to try and rebalance and support you. It’s also not a diet. If you can’t make the foods that suit you, then you can still implement the tips to keep your Agni (your digestive fire) lively and happy. If all that goes out the window—due to travel, social occasions, a period of stress—know that there are so many other tools to draw on to support your mind, body and spirit from intention settings (an attitude of gratitude), mindful eating, meditation and yoga asanas to using the tools of breathwork and meditation on long-haul flight to rest your nervous system and catch up on some rest between time zones. Byrdie UK: What is the typical Ayurvedic way of eating? JH: Eating in line with the cycle of day and night means easing into the day with a light, warming breakfast, when your whole system is waking up, and a light warming dinner a few hours before bedtime so that you have time to digest and ease out of the day. Lunch is best had at midday when your Agni is at its peak. This is a great time to enjoy your biggest meal of the day; you can tackle heavier foods like meat, beans and raw dishes now. Since Ayurveda is not about "good" and "bad" foods, if there is anything you consider doing that you know has the potential to upset your digestion, then this is the time to enjoy a feast, a celebratory meal—anything that you’ve been craving. Byrdie UK: What are the characteristics of the three dosha body types (vata, pitta, kapha) and how should one eat depending on their dosha? JH: We are all a unique mixture of all three doshas (Vata, Pitta, Kapha) from birth. The exact ratio of these doshas moves around naturally as we go through our lives, as the time of day, seasons and the time of your life all influence, as does the food that you eat, the lifestyle choices that you make and the habits that you keep. One or two doshas are usually dominant so when people ask you what your dosha is, that is what they are referring to. My Prakriti—or birth ratio of doshas—is Vata-Pitta, which means I have a lot of Vata in my makeup followed by a Pitta and then a bit of Kapha. If you are approximately equal in all three, which is rarer, this is called tridoshic. Vata: Usually slim with bony limbs and straight body shapes. Skin is fine and dry and they feel the cold. Tend to gain weight in the middle. Prone to feeling wired. They are creative and alert. Pitta: Moderate, athletic physique. Soft, warm skin, and they get hot easily. Gain weight evenly or on the bottom half. Tend to be type-A personalities. Kapha: Well-developed bodies. Oily and lustrous skin. They have a regular appetite but slow-burning digestion. They are hard-working but have a tendency to be lazy. Hemsley explores each of the doshas in more detail in her book on pages 270-75. Doshas are basically descriptives of certain types of energies, and in knowing them, you can really put them to use to intuitively be able to look after yourself even at a subtle level. It’s the art of living, and it doesn’t take much effort. You’ll just find you instinctively know what the best thing to eat that day is, just as you’ll put on a jumper without much effort when you feel cold and pull it off when you get too hot. Only a Vaisya (Ayurvedic practitioner) can expertly assess your Prakriti (dosha ratio at birth) as well as any current imbalances you might be experiencing (known as Vikriti), you can also have fun getting an indication by using the Dosha quiz on my website. This quiz also helps you identify which Dosha is playing up according to symptoms so you can bring yourself into balance. Byrdie UK: In the book, you use a key: "feeling Kapha," "feeling Vata," "feeling Pitta." Can you be one dosha type but feel another? JH: It’s important to recognise that our environment affects us day-to-day (the seasons, urban vs. country environments, temperature, humidity). My book seeks to redress those imbalances you might experience, which might affect your mindset, concentration levels, digestion. Once you’ve identified with a dominant dosha, you can use the book to redress your own balance if you’re feeling out of whack and are craving something warming, cooling, acidic, spicy, etc. The recipes are designed to be enjoyed by everyone since no foods or dishes are off the menu. I indicate in the recipes that if everyone is “feeling” either Vata, Pitta or Kapha, they can use the easy tweaks or suggestions to help balance this feeling. Or if they know their dominant dosha and like a recipe in particular then it can easily become part of their regular repertoire by implementing the particular adjustment that pertains to them every time they make it. Your dominant Dosha type is the one that becomes imbalanced since we tend to lean towards what we are already predisposed to. Byrdie UK: What are typical Ayurvedic ingredients? JH: Ayurvedic food is, by its nature, fresh, slow-cooked, easy, comforting dishes. Mostly soups and stews, which don’t require any culinary goddess skills! Think about family-style dishes all over the world—delicious one-pots that satisfy and are easy to digest. Turmeric is a super spice used regularly in Ayurvedic cooking and has anti-inflammatory qualities. Ayurveda also uses natural fats and dairy so, yes, butter is allowed, and ghee, coconut oil, and real milk to make golden milk with a dash of turmeric. 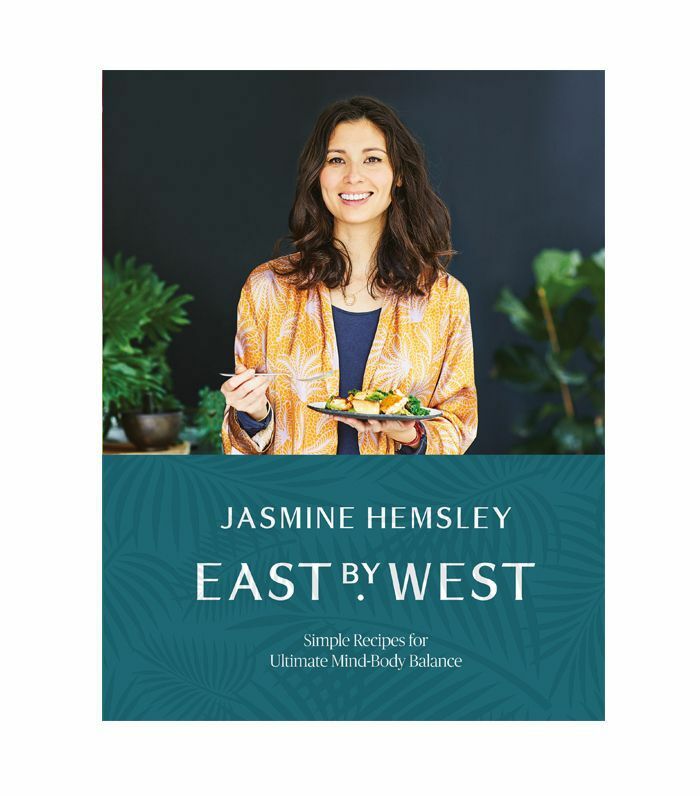 East by West: Simple Recipes for Ultimate Mind-Body Balance by Jasmine Hemsley (£25, Bluebird) is out tomorrow, 2 November, and is available to pre-order. Next up, would you have a fertility test? Two Byrdie editors discuss the pros and cons.